SKU: SC LS47. 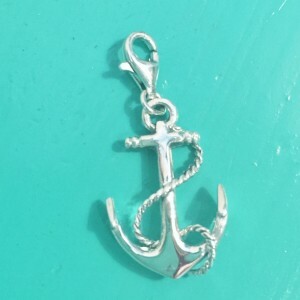 Categories: Pendants, Shiva Eye, Silver Sealife. This Shiva Eye Turtle Pendant is beautiful! It is the perfect gift for those who adore the serenity and beauty of Turtles. 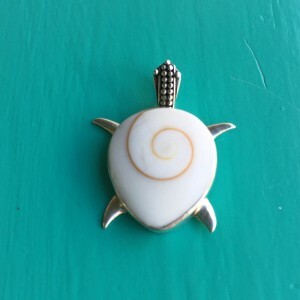 It is believed Turtles symbolises longetivity, blessings, journeys, patience, protection & wisdom. Just to name a few things! 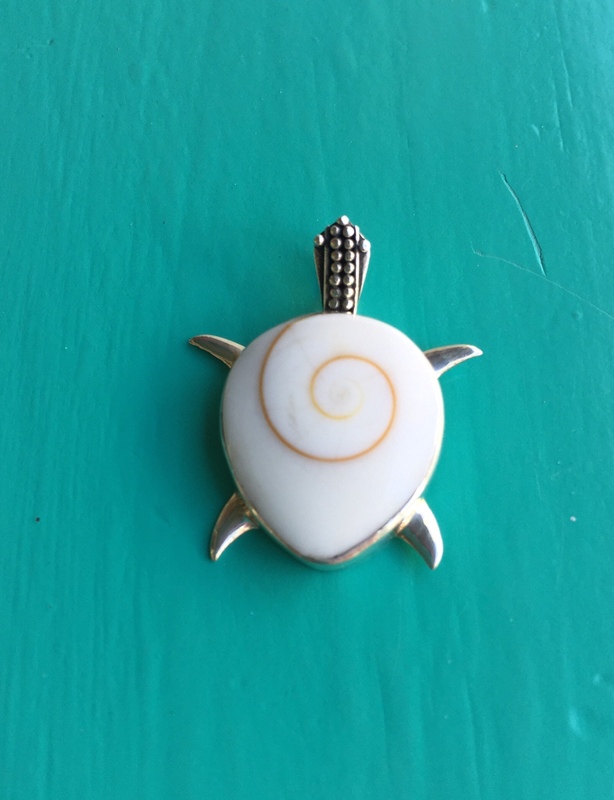 To make this piece of beautiful jewellery even better, a Shiva Eye shell has been set in the Sterling Silver to represent the shell of the Turtle. 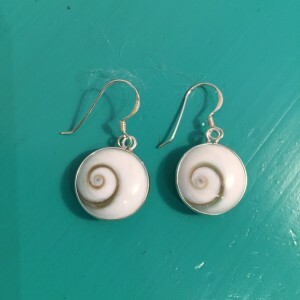 The Shiva Eye shell (or what is known as the Opercule of a Turban Snail) is believed to bring luck and happiness as well as prosperity if stored with money. What an amazing little Shiva Eye Turtle Pendant! Perfect for animal & ocean lovers.